The NanoStation®M features the CPE design that expanded the global Wireless ISP industry.The NanoStation®M can be deployed for Point-to-Point (PtP) bridging, wireless connectivity to a video surveillance system, or use as an airMAX® CPE. With software-enabled PoE output, the secondary Ethernet port can power an external device, such as a PoE security camera, for seamless IP video integration. Remote hardware reset circuitry of NanoStation M allows for device to be reset remotely from power supply location. 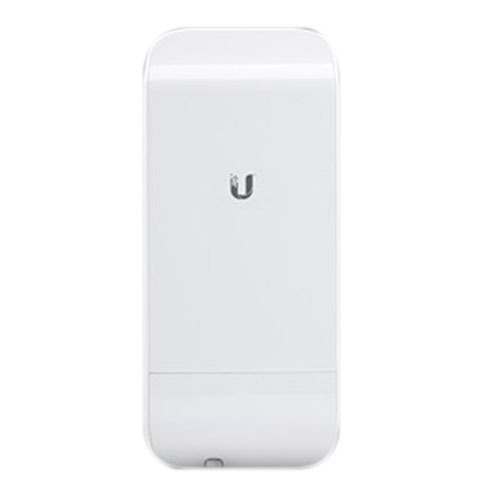 In addition, any NanoStation can easily become 802.3af 48V compliant through use of Ubiquiti's Instant 802.3af adapter.